Home > Games	> New Kindle apps! Games and a Recipe Tool! New Kindle apps! Games and a Recipe Tool! Here’s some new apps for the Kindle! 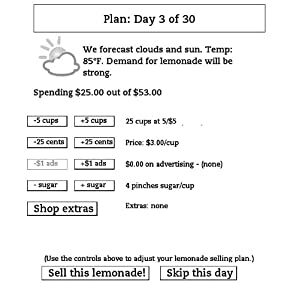 ‘Lemonade Stand (A Business-Strategy Game for Kindle)‘ by Play Gray is available on the Amazon Kindle site for $0.99. Just click here to download! Lemonade Stand is a game of fun, luck, and skill. Each day, you decide the number of cups to buy, the price, and the taste of your lemonade. You then find out how many people bought your product, and how much money you made. Pay attention to the weather and to your customer feedback so you can make the right decisions. Invest your earnings back into your business by buying extras from the shop, including lemonade flavoring and color posters, that will help you sell even more the next day. Lemonade Stand is fun for all ages, and a great game for the holidays. If you make the right decisions, you’ll see your stand grow from simple beginnings to selling hundreds of cups to eager customers each day. If you’re lucky, a rich patron may even stop by and give you a tip! ‘Super Snake (An Arcade-Style Game for Kindle)‘ by puzzle.tv is available on the Amazon Kindle site for $0.99. Just click here to download! Ready for a retro-style game experience for Kindle? Super Snake is a classic arcade-style game for you. Move your Super Snake around the field, eat snacks but don’t eat your tail and don’t bump your head. Simple rules, fantastically addictive game-play! 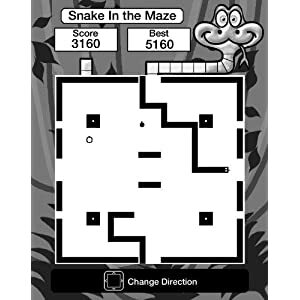 Taking classic retro game-play to a whole new level, Super Snake is feature packed with 6 different play modes including Classic Snake, Snake in a Box, Snake in the Maze, Tail Trail, Snack Hop and Snack Attack, where hundreds of snacks make for a huge snake. Can you cope? 3 different difficulty levels, Slow, Medium and Fast, mean everyone can play at their pace and the game also features High Scores and a full Achievements system for competitive play. Easy to play, hard to put down, try Super Snake today! 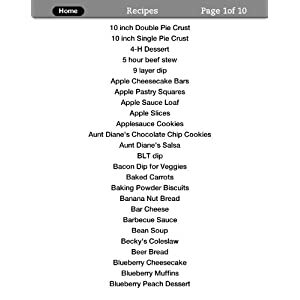 ‘Ultimate Food Quiz (A Tasty Food Quiz For Your Kindle)‘ by HandyX is available on the Amazon Kindle site for $1.99. Just click here to download! Think you know the five mother sauces? Your cabbage from your kohlrabi? The Ultimate Food Quiz tests your knowledge of all things tasty, delicious and downright weird. With its user friendly interface, Ultimate Food Quiz puts your gastronomic knowledge, grasp of food trivia and culinary history to the test. Whether you think you’re a gourmet in the making or you want to learn about global cuisine, this is the tastiest epicurean experience ever! 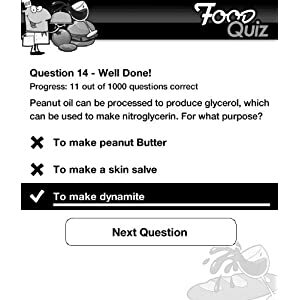 The quiz features 1,000 multiple choice questions range from basic to advanced, taking you from everyday cooking topics to specialist worldwide food and drink. Different game play modes can be used to test your speed and knowledge. If you really know your escargot from your mollusks, then you will feast on this smorgasbord of questions, just waiting for you to tuck into it. ‘Collexions (A Pattern-Recognition Game for Kindle)‘ by Keming Labs is available on the Amazon Kindle site for $1.99. Just click here to download! Collexions is a fast-paced game of pattern recognition. 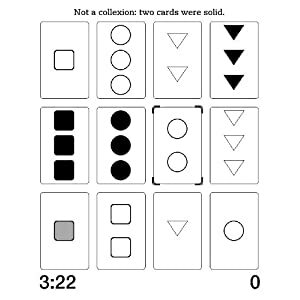 Race the clock and try to find as many sets of cards that satisfy the Collexion rule. Collexions comes with three gameplay modes including a speed-game and a memory challenge mode.